Working as a writer, editor, producer, and director (oh my), when it comes to crafting tales of adventure that are suitable for the entire family, Richard Boddington is a veritable jack-of-all-trades. Returning to the same Gary Paulsen-like premise of an unprepared child lost in nature that made his 2013 picture Against the Wild such a refreshing surprise, although An Elephant's Journey isn't as good as Wild, (which spawned a sequel), it's still sure to thrill young viewers graduating from animated adventures to live action stories with heroes their own age. Grander in scope both in terms of its African setting as well as Boddington's decision to one-up the horse in Flicka or dog in Disney classics by giving his young lead, Phoenix (Sam Ashe Arnold) an elephant friend, as Journey begins, the recently orphaned Phoenix moves from Texas to Africa to live with his sweet-natured Aunt Sarah (Elizabeth Hurley). Eager to explore his new surroundings by accompanying his Uncle Jack (Tertius Meintjes) on safari the very next day, after he gets distracted by a small animal during a short break, Phoenix is panicked to find that the parade of vehicles has left him behind. Lost in the wilderness just twenty-four hours after setting foot on a new continent, while it requires a pretty big suspension-of-belief to imagine that Jack would've let him out of his sight long enough to get lost, Boddington makes the confusion more believable as the frightened Phoenix wanders further into the bush rather than simply staying by the side of the road until his uncle returns. And as his guardians work alongside local military search and rescue to retrace their steps, Phoenix settles in for his first long night in a new land, only to find an unexpected ally a day later after he frees a bull elephant from a trap. 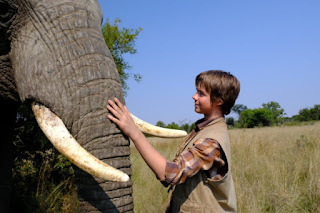 Both guarding Phoenix and giving him someone to talk to, the boy’s bond with the elephant he dubs Indlovu (which means "The Unstoppable") strengthens even more when they come across a group of ruthless poachers and vow to rescue the animals held captive in their camp. While his ability to train Indlovu with an orange well enough to ride him to the level of a circus act is probably only going to work on the youngest audience members, the majestic blend of beautiful scenery and large animals freely roaming the land make it an agreeable enough fantasy, at least initially. Unsure just how far to take the villainous threat, especially when a predictable but inefficiently explained twist is revealed that makes the situation all the more personal for Phoenix, as Journey continues, it spirals off into four distinctly different strands of plot that never quite weave back together into one. Rather than pull us in for the rest of the movie, Elephant moves uneasily back-and-forth between the lost in the wild adventure, Flicka like coming-of-age tale, drama about a family trying to come together as one, and a thriller that doubles as a message movie about the evils of poaching and guns. 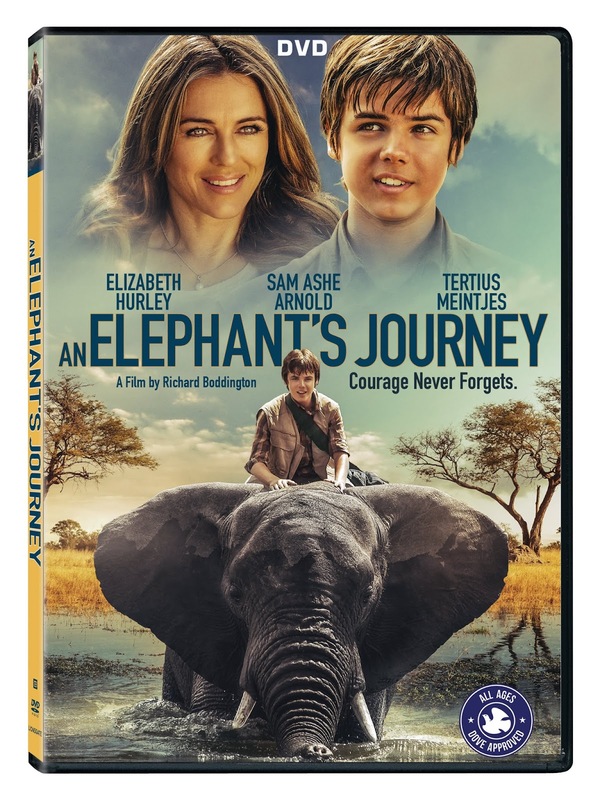 And although together, the first three or last three storylines could've easily evolved into something stronger, in the end An Elephant's Journey suffers from the lack of a cohesive plot. However, the film's dedication to sharing the truth about the vanishing African elephant population to young viewers who will be in a position to help save these amazing animals someday proves once again that, despite Journey's problems overall, much like Phoenix, Boddington's heart is in the right place.